Today, I’d like to bring up a phrase which is still consider profane in many circles: free to play. With the runaway popularity of social and mobile games, this business model has started bleeding over into..well, pretty much every genre known to man. MMOs, in particular, are receiving a huge flood of F2P games, as subscription title after subscription title tries to take on World of Warcraft and fails spectacularly. Because of the…*ahem* “questionable” quality of many F2P MMOs, the model’s gotten a bit of a bad rap among many core gamers. But is it really so bad? I mean, there are as many things to love about it as there are to hate, right? Alright, we’re going to start with the blindingly obvious strong point here: free to play games are…well, free. They cost nothing to install, and you can theoretically play them as long as you please without spending a single cent. This is undoubtedly the greatest strength of the model for many gamers, particularly younger ones who might not necessarily have the financial means to purchase a new game (or pay for a subscription) every month. And I mean, who doesn’t like getting free stuff, right? Yeah, not so fast there, folks. As it turns out, the free to play model might not be as cost-effective as a lot of players seem to think it is. According to Kongregate CEO Jim Greer, players who spend on free to play games actually tend to spend considerably more money than they would if they were just paying a subscription fee (or a once-off). See, Microtransactions are a tricky beast. I’ll use an analogy here: buying a candy bar from the store only costs a dollar or two, right? Not exactly that much of an investment. Except that if you were to buy a candy bar every day of the month, you’d end up spending enough for a night at the movies (you’d probably send your health into the toilet, as well). Microtransactions are kinda like that. You never realize how much you’ve spent on them until you look at your wallet and realize you’re all out of money. The bigger a community for a game grows, the better, right? I mean, if you’re playing an online game, obviously you’re going to want more people to play with. I’ve played multiplayer games which had been abandoned by their community. It sucked. I was bored out of my skull. Keeping a game free means that it’s more likely to have larger volumes of players, at least in theory. After all, anyone can play. You get the idea. League of Legends – which, I might add, has one of the most toxic communities in online gaming – is a prime example of this. It’s gotten to the point where I’m hitting ‘mute’ or ‘report at least once a game, even with all the measures Riot’s taken to improve upon its community. Worst thing is, no one really cares if they get banned – they can just make a new account and start over from the beginning. I’ve ragged on micro-transactions a lot in the past, but I’m actually a huge fan of them. Assuming you’ve got self-control (and the ability to keep track of your finances), it’s downright awesome to pay what you want, when you want. I’ve happily spent somewhere around the hundreds on skins in League of Legends (and I know people who’ve spent more), and I consider Team Fortress 2 to be the finest war-themed hat simulator on the face of the Earth. In both cases, I’m willing to toss down some money to customize how my character looks in-game. What? It makes me happy. The problem with micro-transactions (and the free to play business model) is that too many developers and publishers understand the whole affair about as well as a chestnut understands particle physics (I’ve heard they’re more partial to neuroscience, myself). EA has historically been one of the prime offenders in this department, but they’re honestly not the only ones. Neverwinter had cosmetic items that cost upwards of fifty dollars in its cash store. Gunbound allowed you to instantly purchase all the best equipment and ships. 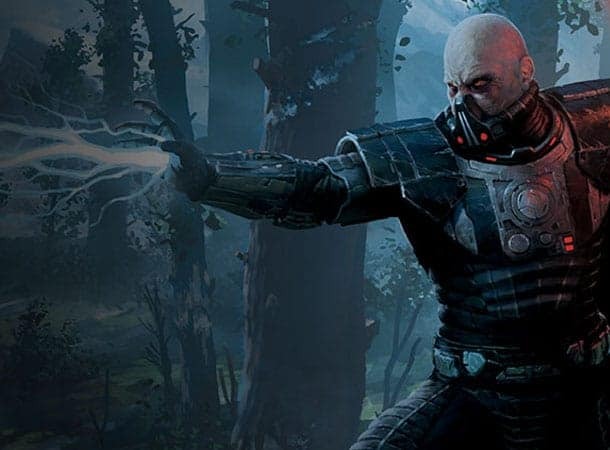 Star Wars: The Old Republic stuffed much of its new content behind paywalls. Age of Wushu – one of my most anticipated MMOs thus far – was a huge letdown because it allowed players to basically pay for extra experience and levels. In each case, the developers demonstrated a fundamental misunderstanding of how free to play works, and the experience inarguably suffered for it. Back when I still played World of Warcraft, I felt…obligated to log on from time to time, even if I didn’t have any pressing guild matters to attend to. The problem was, I was paying a monthly fee for the game, so if I didn’t get a certain amount of play time in, well…It felt like all that money was going to waste. I’m sure many of you have had the same experience, no? That obligation is gone in free to play games. Since they don’t cost anything, you can pretty much just log in whenever you want. There’s no subscription to cancel, no recurring fees to worry about…it’s literally just you and the game. Of course, that works both ways. With pay-to-play MMOs, the developer is pretty much guaranteed to provide regular, free content updates or start hemorrhaging players in a tidal wave of lost subscribers. That isn’t the case with free to play games, which all-too-often shield new content behind paywalls (if any new content is released at all). thing for everyone. It’s a rather exciting time to be a gamer, simply because of all the choices you’ve got in front of you. Yeah, pretty sure this one is self-explanatory. What do you folks think about the free to play business model? Do you love it or hate it? Gimme a shout in the comments and let me know!